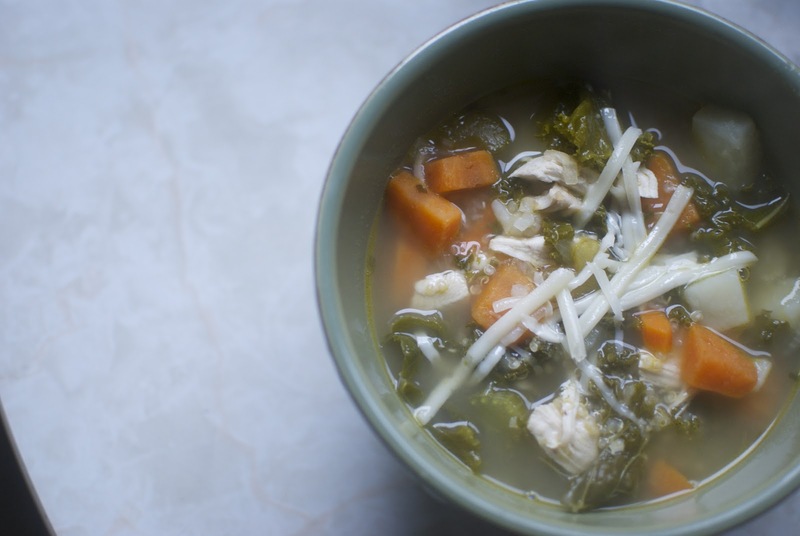 fall is really here which means it's soup eating season and I couldn't have found a better soup to kick it off with. this was delicious! mixed with potatoes, quinoa, chicken and vegetables, it was good and hearty and warmed your core. we had these for dessert and they were equally as scrumptious. I pinned the recipe on pinterest a few weeks ago and have been thinking about it since, so knowing I had time to get the groceries and actually make dinner yesterday it was the first thing I thought about. 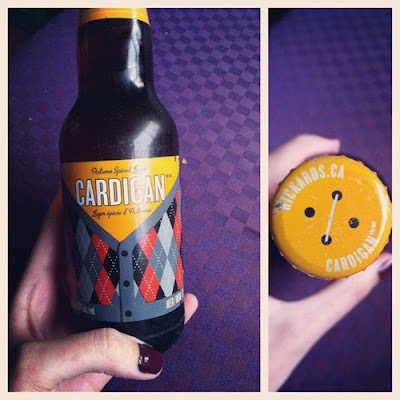 paired with rickard's seasonal 'cardigan' beer, it was the perfect fall evening. this pot of soup fed four of us, allowing for all of us to have seconds! I'm not a huge fan of soup leftovers so I'm glad we ate it all up in one go. 1. heat oil in large pot over medium heat. add carrot, celery, onion and salt and pepper (for taste) and saute for 10 minutes until vegetables are soft. add kale and garlic and season with more salt and pepper then saute for two more minutes. add chicken broth, parsley and bay leaf and bring to a boil. 2. add quartered chicken breasts (I quartered mine so they were smaller to ensure that they would cook all the way through - I'm weird like that!) and cook for 10 minutes (or just make sure their not pink inside) then remove from the pot. add sweet potato, russet potato and quinoa to boiling broth. put the lid on and let boil for 10 minutes. shred the chicken. 3. add the shredded chicken back into the soup, remove the bay leaf and add the parmesan cheese. stir to melt the cheese in the soup. serve and watch your guests fall all over the delicious meal you just served them.